This is a kind of quantum state whose wave function does not behave like a fermion or like a boson. SPAIN – An international study in conducted by the Consejo Superior de Investigaciones Científicas (CSIC) – Spanish National Research Council – has successfully demonstrated for the first time the possibility of Majorana particles in graphene. The peculiarity of Majorana particles, also known as Majorana fermion, is that they could be both matter and antimatter. 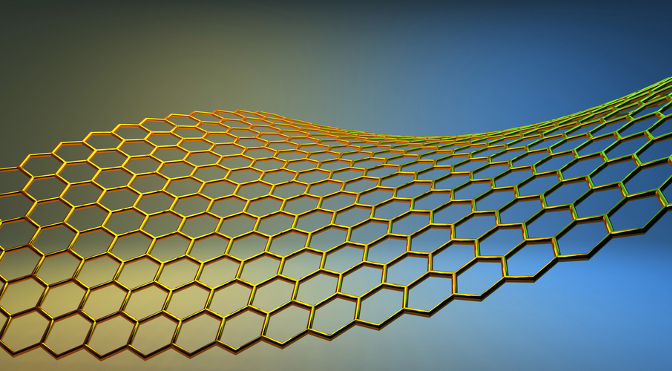 Its discovery in graphene represents a breakthrough in the field of quantum computing. In this theoretical work, researchers argue that if a layer of graphene (pure carbon in hexagonal form of only one atom thick) is subjected to high magnetic fields and is coupled to a superconducting material, then it is possible to form Majorana particles. “When graphene is subjected high magnetic fields electrons are completely unemployed in the whole sample except at the edges. In our work we have shown that by inducing superconductivity those electrons edge become Majorana states,” explains CSIC researcher Pablo San José, working at the Institute of Materials Science of Madrid. Majorana particles were first described in 1937 by the Italian physicist Ettore Majorana and traditionally defined as a fermion particle and antiparticle at the same time. Unlike predicted Majorana particles, which were fermions, superconductive particles of this work are different. “This is a kind of quantum state whose wave function does not behave like a fermion or like a boson. This property has no analogue in the standard model and could result in a more robust quantum computing, called topological quantum computing, “concluded the CSIC researcher Ramón Aguado, also of the Institute of Materials Science of Madrid.